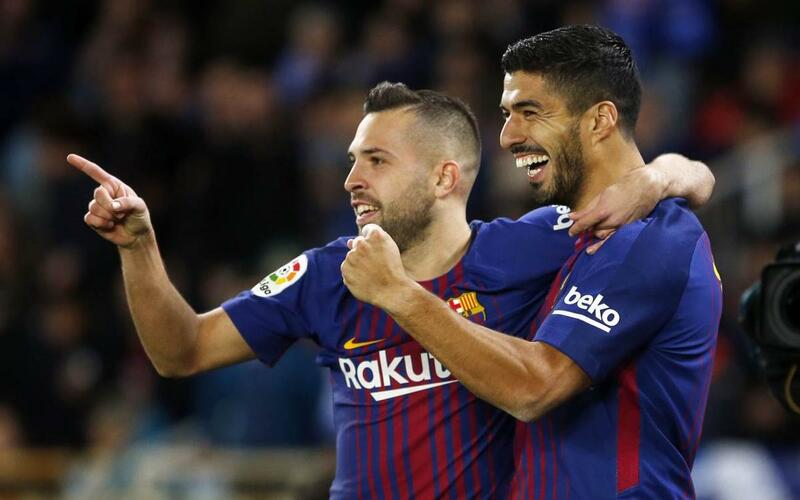 It’s no secret Barça has been incredibly resilient this season, although the team’s two late goals on Saturday night to salvage a 2–2 draw at Sevilla has to be ranked up there with one of the most impressive late comebacks in recent memory. It was the ninth time Barça has come back to avoid defeat, either with a win or a draw, this season. The team’s leading scorers in the nine aforementioned comebacks have been — no shocker here — Luis Suárez (8 goals) and Leo Messi (six goals). On Saturday night at Sevilla, with Barça down 2–0 late in the game, Suárez scored in the 88th minute and Messi in the 89th to keep the team undefeated for a 37th league game in a row, one shy of the all-time record. The nine comebacks have given Barça 17 points in the standings that they would not otherwise have right now. First-place Barça’s lead is currently 12 points over Atlético, pending the outcome of their Week 30 duel versus Deportivo. Barça is also the team which has given up the fewest goals in the final 20 minutes, with one. With that kind of resilience and late game heroics, it's no wonder the team is unbeaten on the season and inching closer and closer to the La Liga title.